“It will be fun!” she said. See the look on my face above. It’s the burn face haha. As always, check with a doc before making any fitness changes. 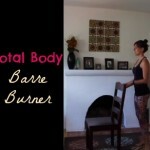 Honor your body and modify as needed. outfit c/o Fabletics. I’m obsessed with the back of the shirt and the fun print of the leggings! Time to drop it like a squat 🙂 What’s your favorite squat variation? Want to combine this into a full workout? 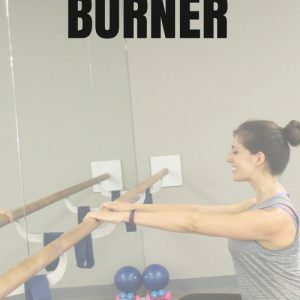 Try it with this barre strength, this barre blast, and this plank burner. 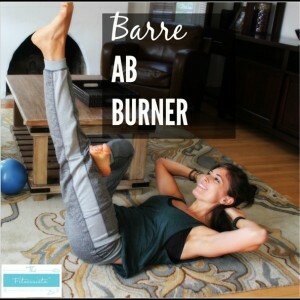 I love Barre! I need to get back on it & I think this will satisfy more sore craving this weekend. Thanks for sharing! no prob- hope you enjoy it! That is my face too in barre classes! Haha. It hurts so good! Whew! That looks like a burner. I love fabletics and that shirt is so darn cute!! Love the back. Fabletics is my absolute favorite! All my workout gear is from there or Lulu. i love their stuff, too! Oooo this looks killer!! I love those leggings–so cute! thank you! let me know if you give it a try! Love the outfit. 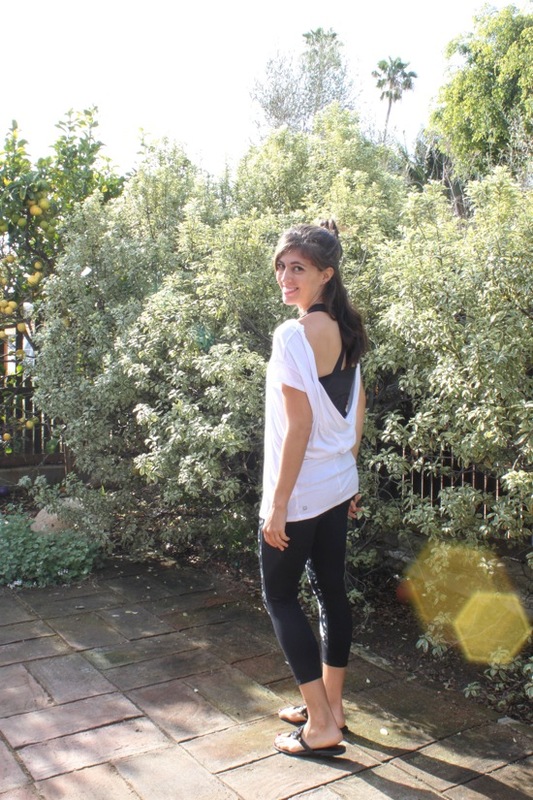 Do you find Fabletics quality to hold up? I’m an Athleta snob (especially their revelation tights for compression). No sure how Fabletics measures up. 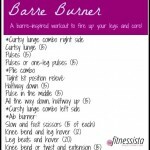 Barre is one of my favorite workouts at the moment. I’ll have to do this workout over the weekend. Ouch! I did this yesterday and I can stil feel it… I guess that’s a good thing 😉 Thanks for sharing! oh this looks like a good one! and that is such a cute shirt. Hi Gina! I love love your blog and check it everyday. I’m currently 18 weeks pregnant. 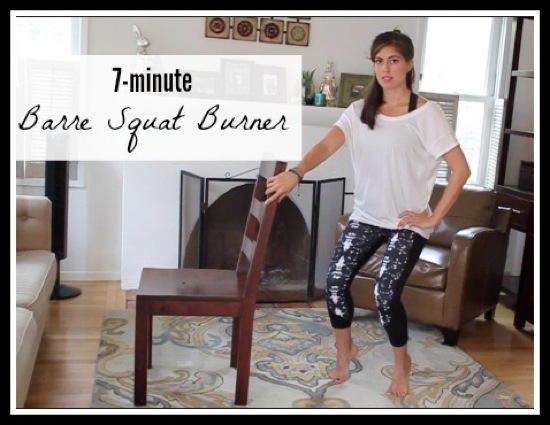 Could you recommend some 2nd and 3rd trimester prenatal workouts? I feel like I’m a moderately physical person, but I want to keep working out for delivery and post partum recovery’s sake. I just tried that video and it was sooo good (and painful!) Thanks so much for putting it together. I love your workout videos! I did this twice yesterday, and it was awesome! 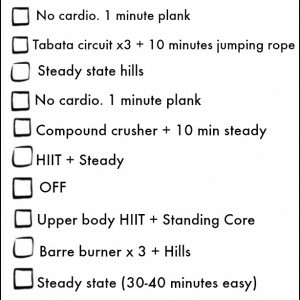 I saved this post forever ago and finally did the workout. It was great! I can see why you would be an awesome group exercise instructor!